Professor Wright introduces the course by suggesting that “listening to music” is not simply a passive activity one can use to relax, but rather, an active and rewarding process. 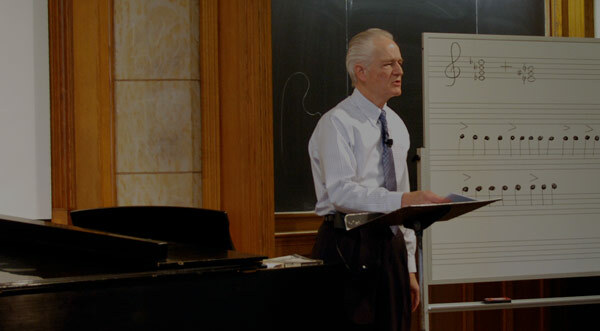 He argues that by learning about the basic elements of Western classical music, such as rhythm, melody, and form, one learns strategies that can be used to understand many different kinds of music in a more thorough and precise way – and further, one begins to understand the magnitude of human greatness. Professor Wright draws the music examples in this lecture from recordings of techno music, American musical theater, and works by Mozart, Beethoven, Debussy and Strauss, in order to introduce the issues that the course will explore in more depth throughout the semester.